Browsing through the well-illustrated reviews at this site is like browsing through a beautiful store. The reviewer tests laptop bags that designers and manufacturers send her for review, using each for a week -- unless she really dislikes it after just two days. The FAQ section lists her personal favorites, which include the Tumbuk2 laptop sleeve, the Rawlings Messenger bag, the iSkin SOHO sleeve and the Tom Bihn Archetype laptop sleeve. Their other Top 10 review sites include the usual suspects like MacWorld and PC Magazine, but also cool sites like National Geographic and TheGadgeteer.com. If you want to make sure you've covered all your bases before buying a bag, definitely check out Consumer Search's review of laptop bag reviewers. 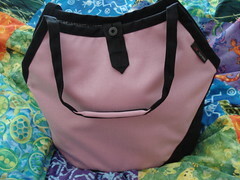 There are two amazing bag projects that I wanted to share with you: Bags for Zaza and the Darfur Project. 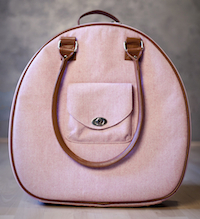 I first read about Bags for Zaza through the blog Profy.com where the founder, Jennie, was interviewed about grassroots fund raising. Jennie is creating cool bags from fabric she already has in her stash as well as from friends and is selling them on her blog (via an auction model) with all of the monies going to her brother and sister-in-law for costs associated with adopting a little girl from Columbia. I ... embarked on a journey into the dusty closets and corners of my home and started gathering all of my fabric into one handy location, my living room. I'm a terrible packrat and as I sorted through my finds, I projected that I could easily make 20 bags with the materials on hand (I realize now that I can make more than that). I made a pattern from my Darfur Bag with a few little modifications of my own. 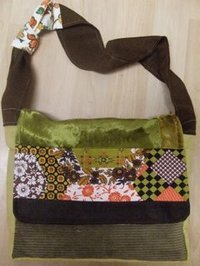 I sewed together 8 bags and built my blog site before I even mentioned the scheme to my in-laws. I told them what I was doing, then launched my site the next day. I sent out emails to friends and family and sold my first batch of bags within a couple days. In less than 4 weeks I reached my initial goal of raising $500. However, if you know anything about adoption expenses, you'll know that this is just a drop in the bucket. Gosh, I could go on forever, but I'll wrap up this little history by saying that my sister-in-law (Zaza's momma to be) is sewing up a storm now and other friends and family have also helped with the sewing. It looks like we're going to keep going on this until Zaza comes home. In a nutshell, inspiration for the scheme came from my desire to support Zaza's adoption in a substantial, but feasible way. And the Darfur Project certainly provided a great model to build on. Another family was raising money for their adoption by selling t-shirts. The project was called "Saving Dowensky" and I've certainly thought of them a lot through this. The bags created by Jennie and Joyce are beautiful and unique works of art. Now they aren't always suited for laptops, but sometimes we need to leave that laptop at home!! Jennie names her bags after different books which is delightful. I encourage you to check out both sites and maybe buy a bag (or two) for two wonderful causes!! 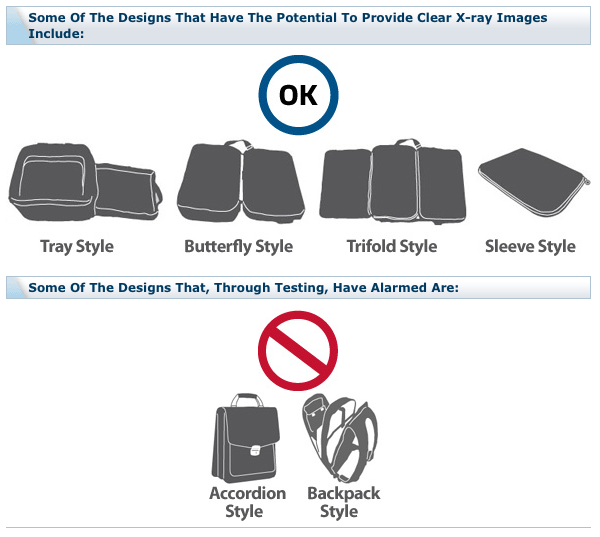 As you may have heard, the Transportation Security Administration (aka the TSA - the folks responsible for security screening at airports) put out a request to a number of laptop bag designers to design a "checkpoint friendly" laptop bag in a effort to reduce screening time as well as to reduce passenger anxiety of sending "naked laptops" down the belt. A number of companies responded and have developed prototypes. 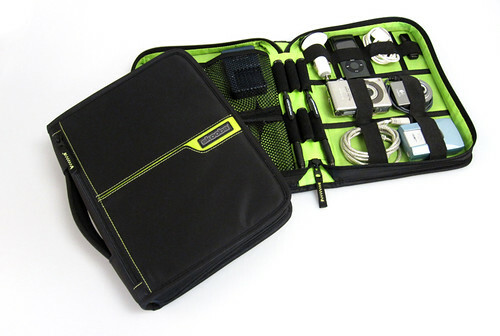 Mobile Edge has created Checkpoint Friendly backpack, messenger and briefcase style bags. Skooba has a briefcase style bag. And Tom Bihn has a checkpoint friendly briefcase in the works as well as a backpack and a messenger design (no pics yet, but I've seen the briefcase - it's cool). If you haven't spent a lot of time thinking about bag design - this picture is a good place to start. Even when you're trying to choose a bag just for day to day commuting, start by thinking about the basic style of the bags and what needs you have for your bag. Remember, a well designed checkpoint friendly bag must be packed appropriately if you intend to leave your laptop in your bag for screening. These are important to understand. I was speaking with a writer for Aviation Week today - she and I agreed that there will have to be an increased level of responsibility taken by the passenger to ensure their bags are packed smartly. No more willy-nilly throwing everything into your bag and hoping for the best. What I'm really waiting to see though, is once the basic form of the bag is in use, how long will it take for these designers to make stylish versions of them? 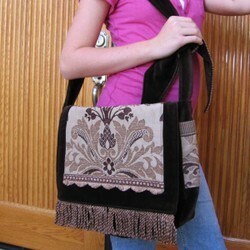 I want my funchico checkpoint friendly bag!! Are you a knitter? 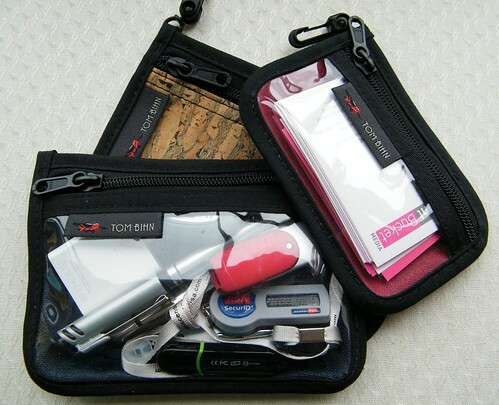 Check out our knitting bag reviews - starting with the Swift by Tom Bihn! With its clever construction, myriad organizational options and action-oriented name, I predicted that the Swift would take me from knit klutz to knit kninja in seconds. That's right! Knit Kninja! Hear that wooshing sound? That was me, finishing a whole sock before you could turn your head! Okay - the Swift does not *technically* make me a faster knitter. But it makes me a much more organized knitter, so that I can get to the knitting faster and that's the first step. Read the full review of the Swift by Tom Bihn. Your Blackberry Need Some Bling? Violet May is in the House! 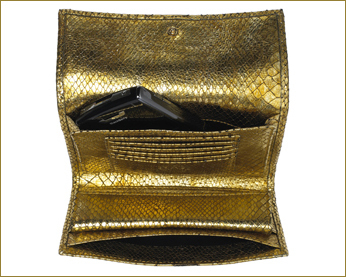 Just got the head's up from Violet May that they have a new glamour line of Blackberry Purses for us gals who want something nice to stash our Blackberries in when we're headed to dinner, the opera, the Oscars - whatever. I expect to see a lot of these on the red carpet this year! Have a New MacBook Air? Waterfield Designs has It Covered! 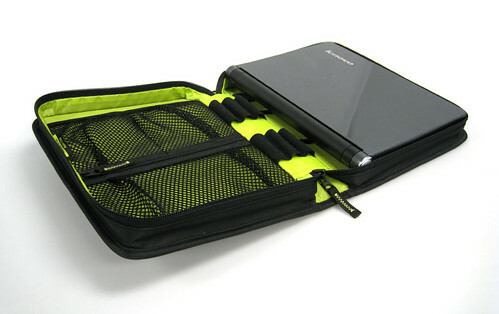 The new HardCase - sleek with serious protection. All black, or, even better, with Kiwi or Pink interior leather! $239. The Racer-X - solid bag, great grip. Reviewed over on my Squidoo lens. Black with some high-colour accents. $169. The SleeveCase - when you just need that slip of protection inside another bag. Black. Starts at $39. 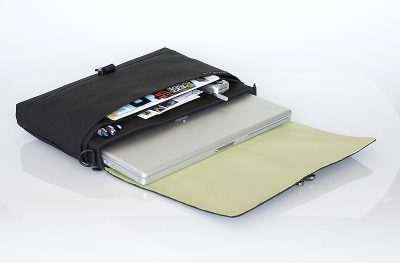 If your new Air needs some laptop bag lovin', check out what Waterfield Designs has for you! I think my fav is the new HardCase, Kiwi accent, shown below.